Ohh, this could get good. Chicago’s Fraternal Order of Police is officially requesting a federal investigation into whether the Cook County State’s Attorney, Kim Foxx, tried to interfere into the department’s investigation of “Empire” star Jussie Smollett on behalf of a former Obama administration official. 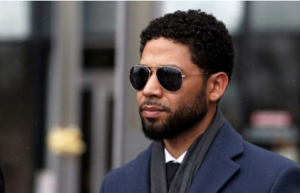 CWB Chicago, which has covered the Smollett case from the beginning, reports that Chicago’s police union requested the investigation in a letter to John R. Lausch, the U.S. Attorney in Chicago on Monday.